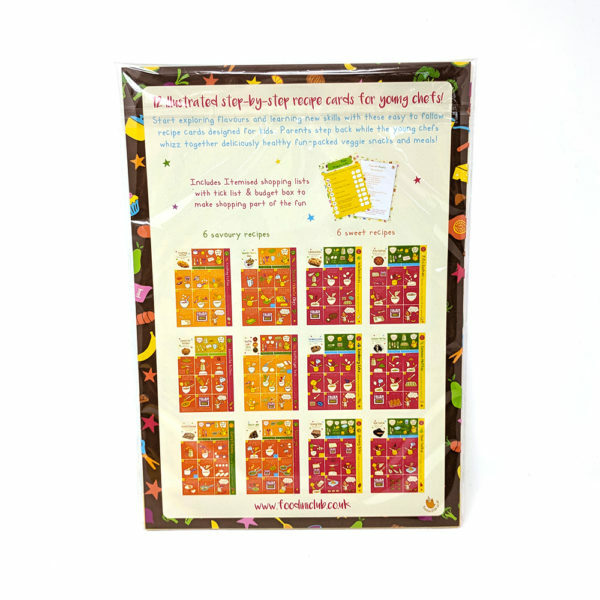 12 of our most popular Foodini Club recipe cards in one bumper collection! 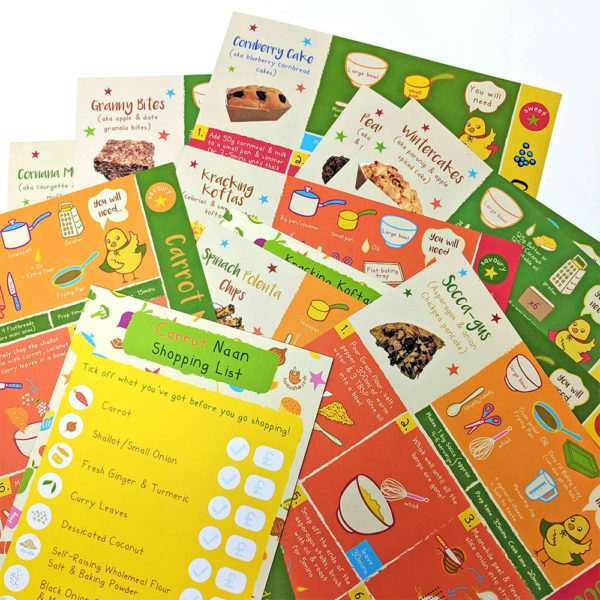 The ultimate introduction to the Foodini Club format that allow kids to take control of the cooking process, we’ve compiled a collection of the most popular Foodini recipe cards from the last year of the Club into this bumper pack. Including 12 recipes (6 sweet & 6 savoury), this pack also includes 12 itemised shopping lists neatly packed into a biodegradable sleeve and comes with a yellow envelope for gifting and/or sending to someone special. 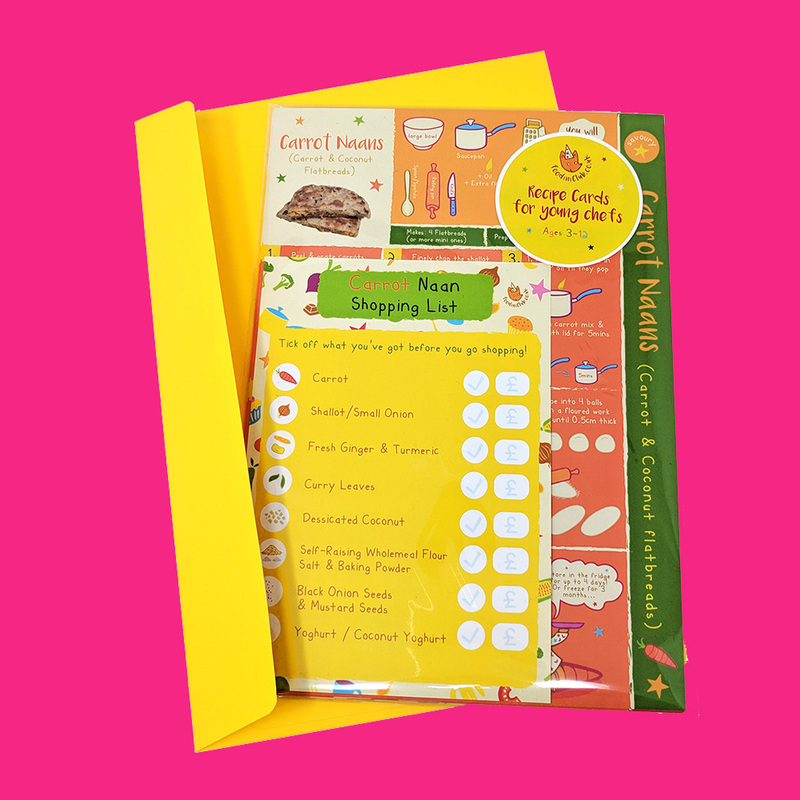 If you want to gift it to someone else, simply fill in their delivery address and include an optional gift note!